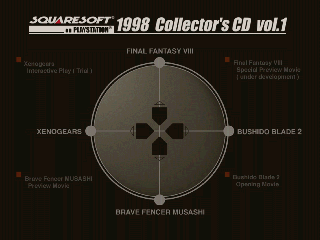 This demo disc, which came packaged with the initial release of Parasite Eve (not the greatest hits version) contains a playable demo of Xenogears as well as preview movies of Bushido Blade 2, Brave Fencer Musashi, and Final Fantasy VIII. Now you can add videos, screenshots, or other images (cover scans, disc scans, etc.) 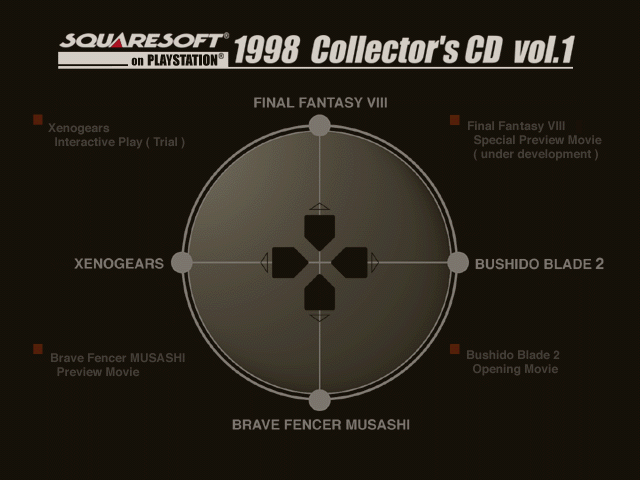 for Squaresoft on PlayStation Vol.1 [U] [SLUS-90028] to Emuparadise. Do it now!